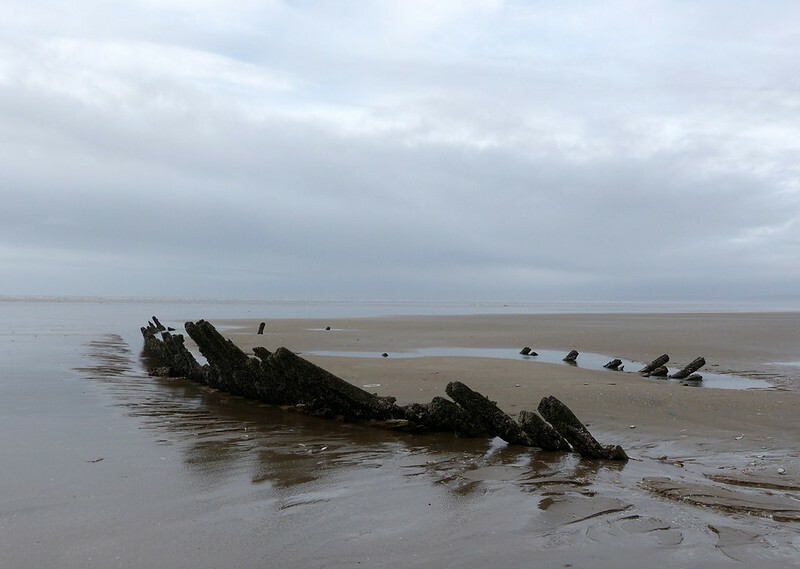 I've always been intrigued by shipwrecks and Cefn Sidan beach, just over the county border in Carmarthenshire, has more than its fair share. 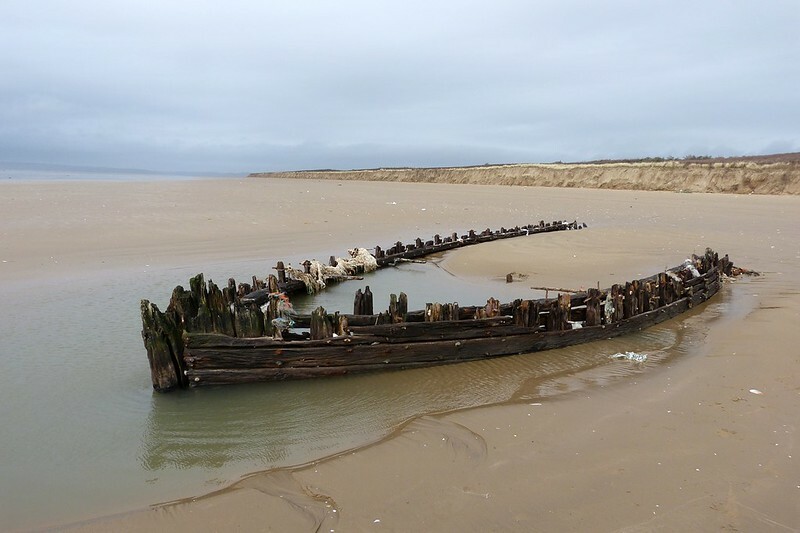 Over the years there have been 182 recorded wrecks along its seven mile stretch of flat sand and even now discoveries are still being made. 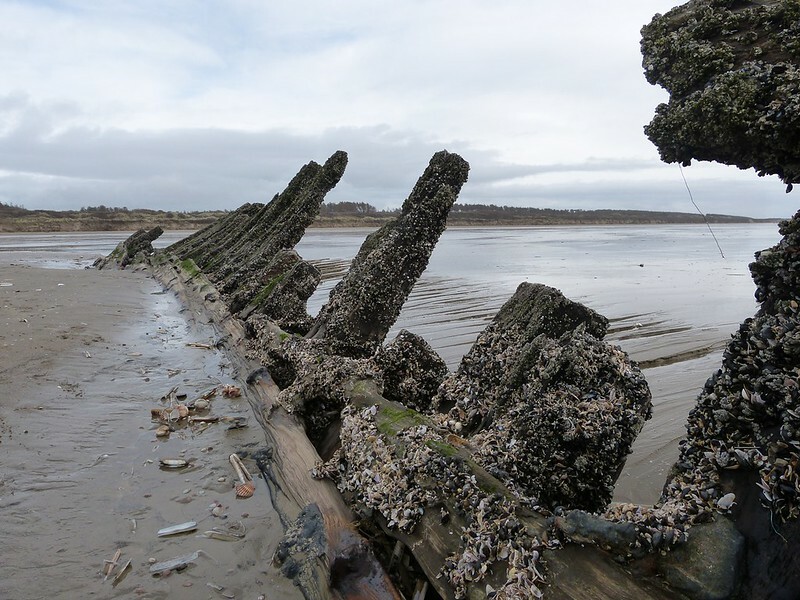 Another five previously unknown vessels emerged from their sandy graves after this winters storms removed vast quantities of material, though it didn't take long for the beach to reclaim the majority. 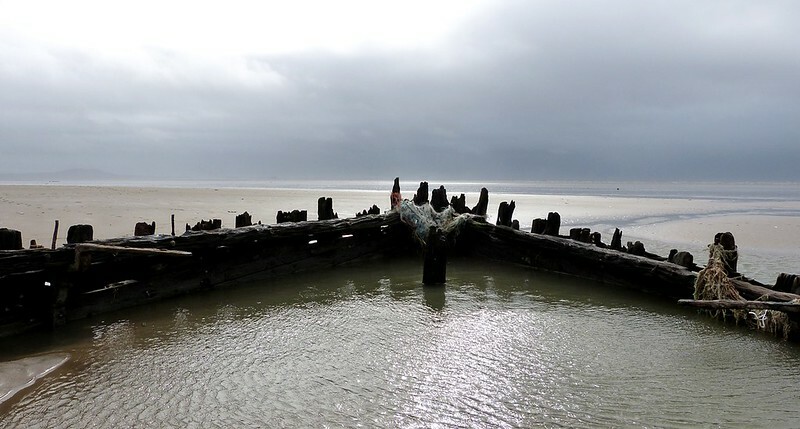 Clearly this was an aspect of our local history that I couldn't ignore any longer so a couple of weeks ago we went to explore this ship graveyard for ourselves. Walking west from the main entrance it's hard to miss a huge skeletal framework on the horizon as shown above. Partly submerged at high tide this collection of timbers and steelwork take on a whole new aura when fully exposed as its entire length is laid bare for all to see. 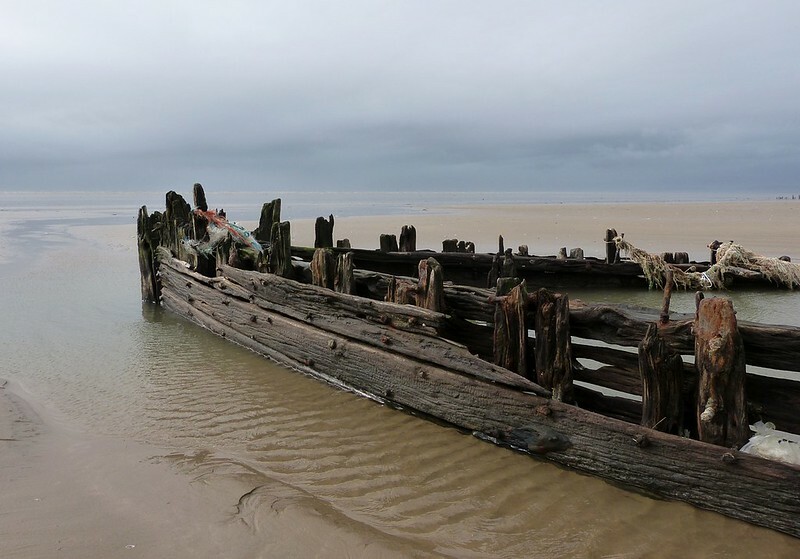 I spent a good long while closely examining the methods used in its construction but the sad thing is that her name, as with almost every other wreck here, is unknown. As a result we can only imagine where in the world her home port may have been, who served upon her and perhaps most importantly what became of them. 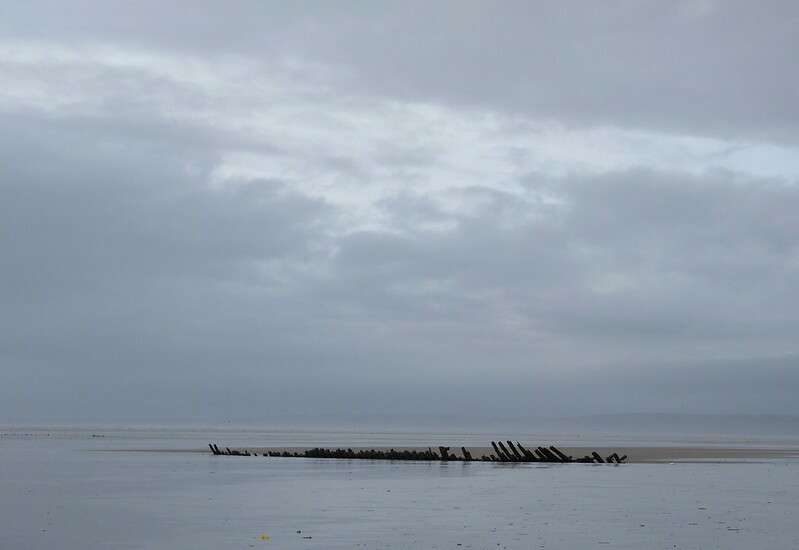 A short distance away sits another slightly smaller wreck though one perhaps in even better condition than the first. Sitting slightly higher up the beach its timbers are better preserved suggesting a younger age but in these conditions such things are hard to judge. Again her name is unknown but the large steel bracing that presumably once supported a deck may be characteristic. 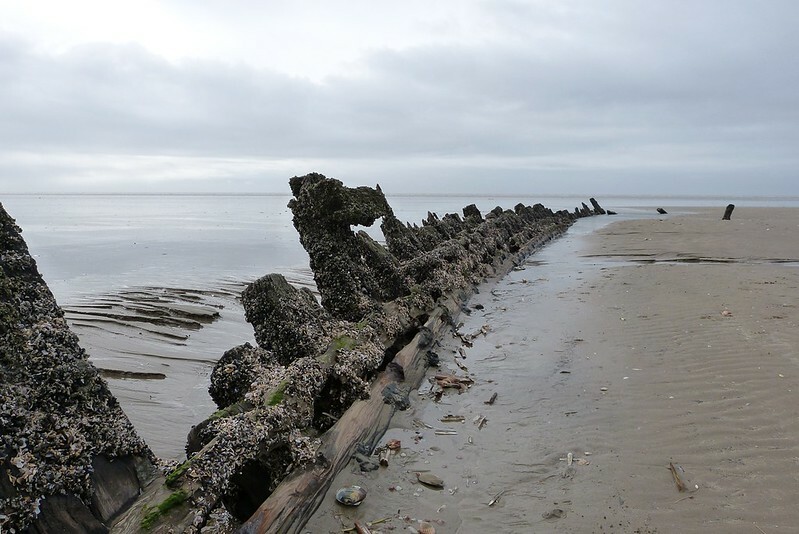 Further west again and a curving line of vertical posts marks the third of our wrecks. Although still sizeable its thinner timbers suggest a vessel of lighter construction though once more age, origin and purpose are purely speculative. The only identifying feature is a small plaque screwed to two uprights which reads "Tony Bone - Rest in Peace". Clearly a more modern addition my internet research has so far failed to find any further information. Another mystery wrapped in the enigma that is Cefn Sidan. By this point we were several miles from where we'd set off and as a storm rolled in from across the water we were served a timely reminder that this can still be a dangerous place. Retracing our steps there was just time to check out one of the newly exposed wrecks that sits parallel to the sand dunes. 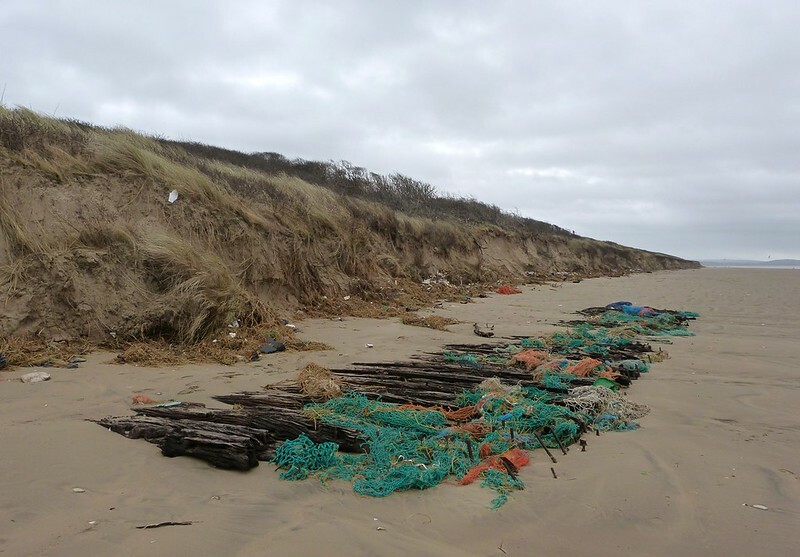 At present only its upper deck is visible along with several large pieces of ironwork that seem to be attracting discarded fishing nets from far and wide. I don't expect this one to be visible for much longer as the dunes are already starting to reform following their winter retreat. 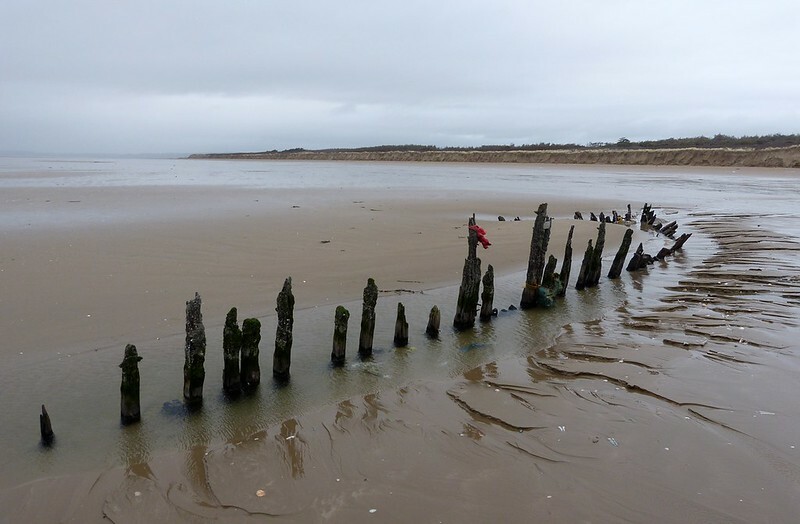 It's not just shipwrecks that have been turning up along this beach of late with a huge one tonne anchor having also been exposed. Even human skulls have appeared on occasion though as with the ships above their identities remain a mystery. It makes you wonder what else is down there just waiting to be discovered. 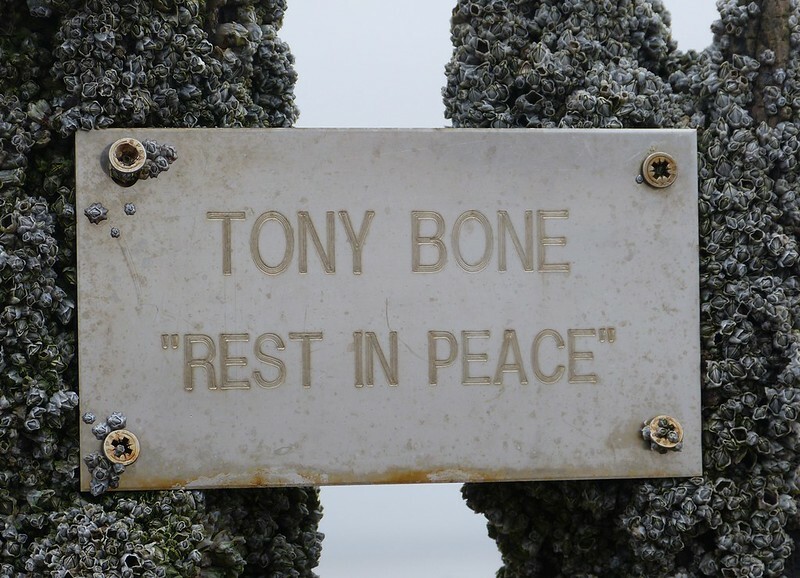 Tony Bone was a net fisherman from pwll, always riding a Honda 90 with his nets in tow, used to sell flatfish door to door.died roughly 1999ish. Knew him well. Character.